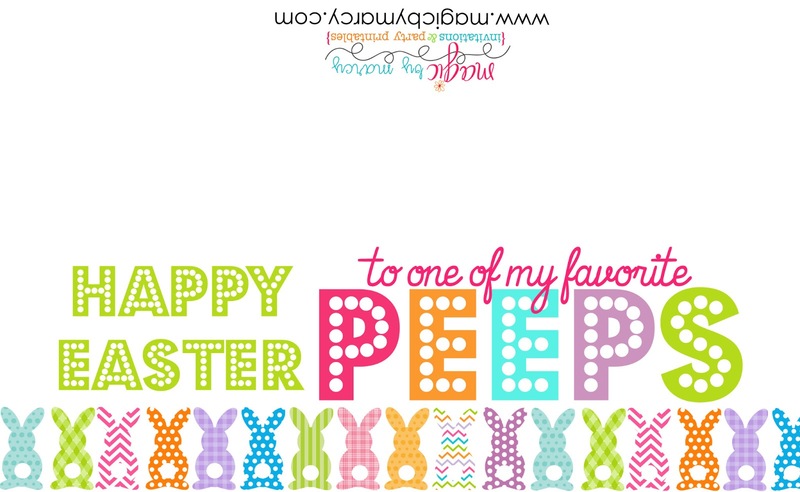 PEEPS are everywhere this time of year....that sugary marshmallow treat is an American staple in Easter baskets. So we came up with a couple of ideas for inexpensive classroom treats that won't break the bank and are super simple to put together. These bunny cupcakes are just way too adorable and super fun to create! Get your class in the Easter mood with this delicious treat. Have students use kitchen scissors (sterilized) to cut the PEEP's ears off, I also sliced the ears to separate them a little. Frost cupcakes and add the white ears, add 3 strips of the edible grass for whiskers, and the round perils for a little nose and eyes. Add a small white pom pom to the cupcake liner using a glue stick to add a little bunny tail. 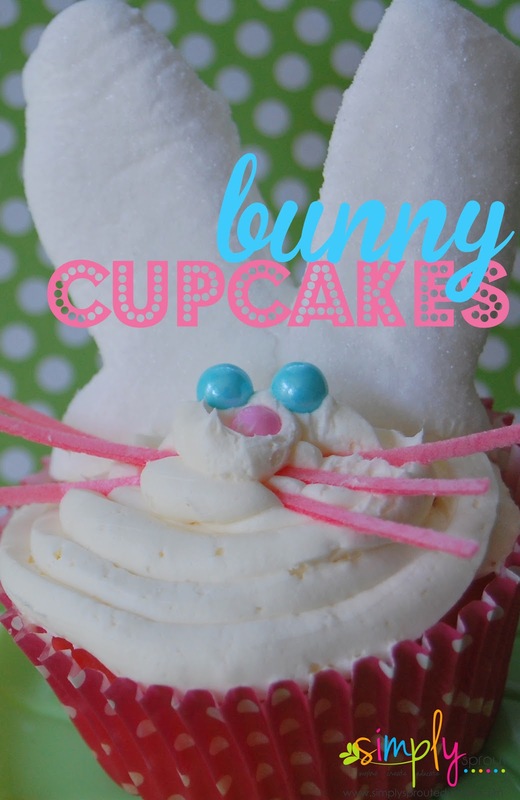 These cupcakes are sure to be a crowd pleaser this Easter. 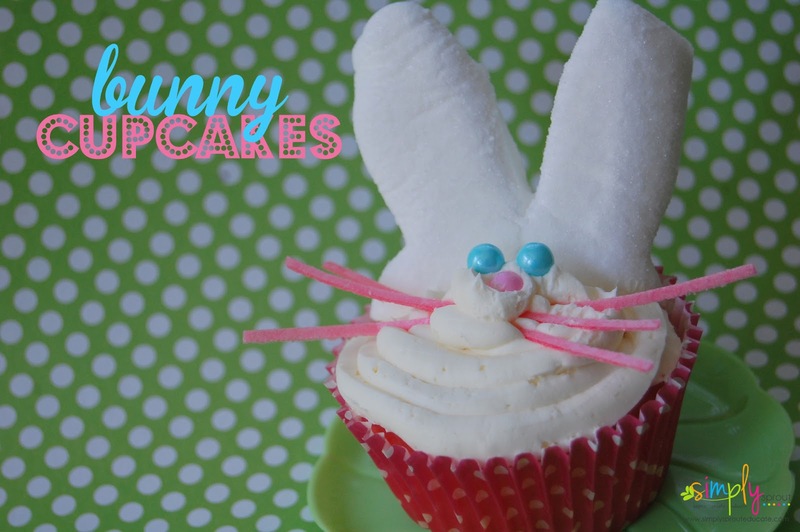 So hop over to the store and grab some supplies to get started on your very own batch of bunny cupcakes. If you are looking for an inexpensive treat for your PEEPS at school give these a try. PEEPS are just $1 at Walmart this time of year. 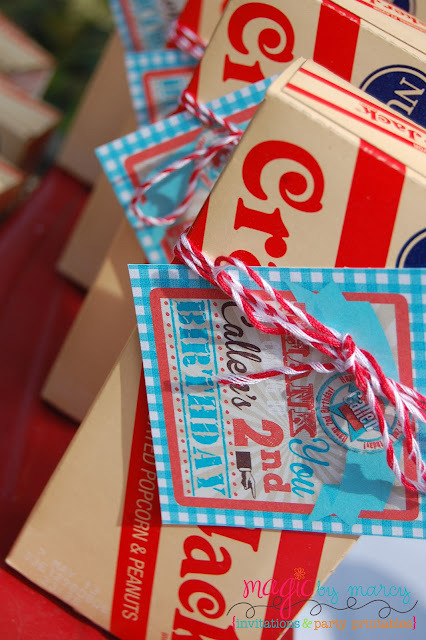 Grab a few of your favorite colors and add them to a cellophane bag. 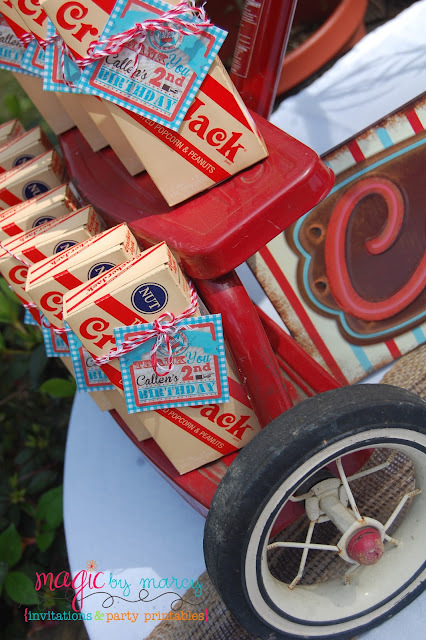 Add the treat toppers below and you have a one of a kind treat that is perfect for this time of year. Right click on the above image and save to your desktop. Insert image into a word document and drag corners to resize as needed, print 2 to a page. Cut out and staple onto the top of your treat bags. Looking for some science fun with PEEPS? Be sure to visit our Science with my PEEPS post. Spring is obviously our favorite time of year. Lots of color, sunshine and fun activities for the classroom. 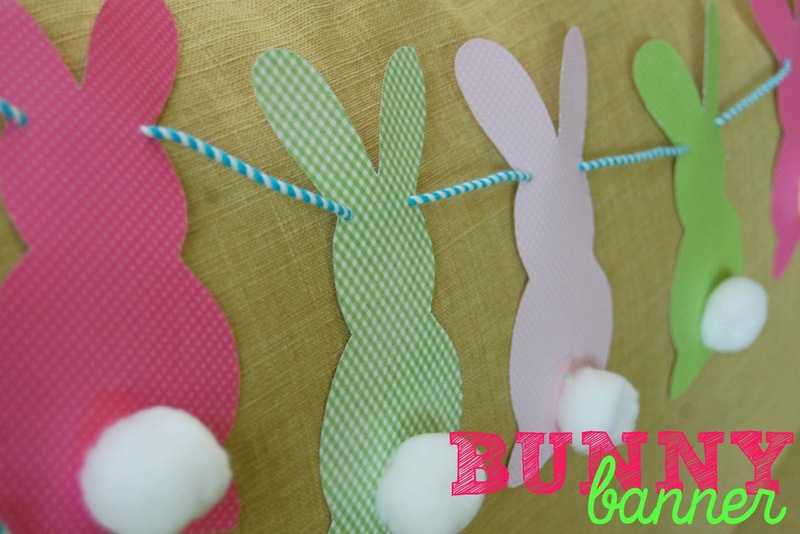 Here are a few of our favorite Easter themed activities. Not sure if it's the new baby at our house, or the date on the calendar, but spring has sprung in our home! My favorite season brings the promise of longer days, warmer temperatures, and new beginnings. Balancing the needs of a two week old, and a two year old have made for some hectic days recently. So when things get chaotic why not add to it and say, "Let's paint!" 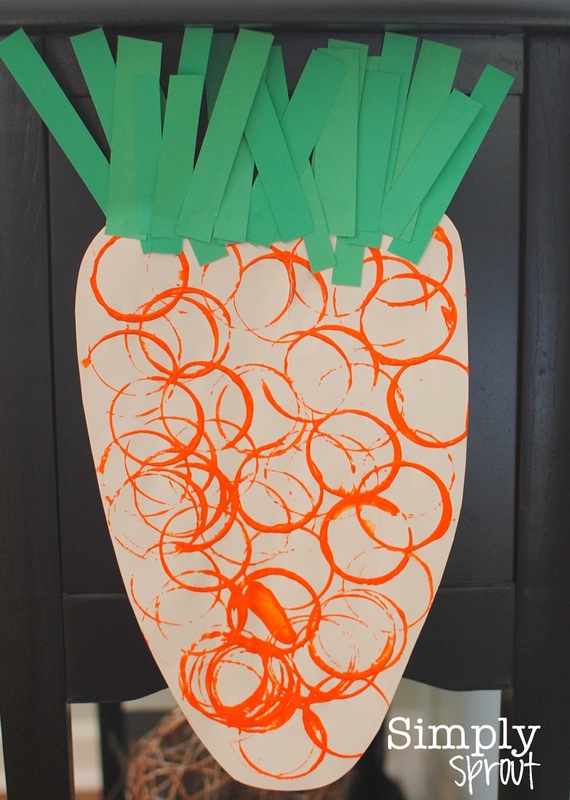 This Easter craft was the perfect combination of colors, counting, and shapes for my son. We reviewed the shape of a circle, talked about different colors, and counted out our green scraps to make the carrot's stem. We even used some old plastic Easter eggs to paint with. Great for chubby little hands to grasp! Add some science to your carrot craft by observing roots and density. 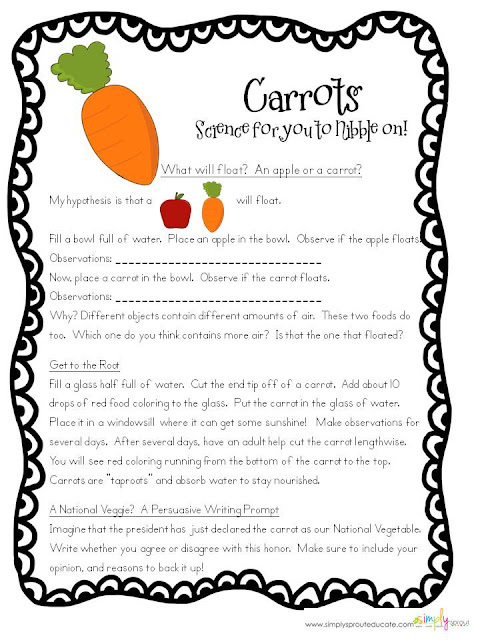 Grab the freebie below for a easy, hands on Easter science lab for your students this week! For another great Easter science experiment check out "Science with my Peeps" post. 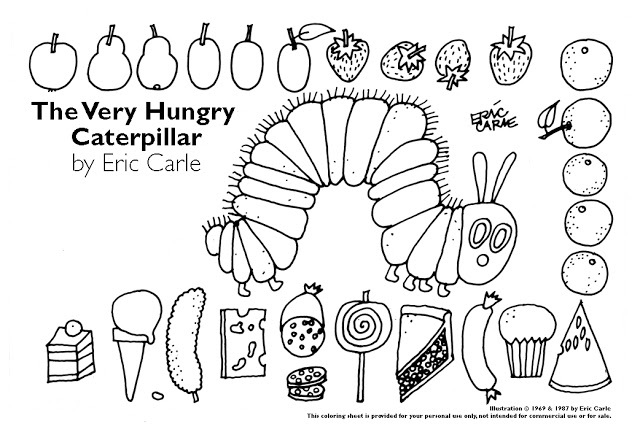 Looking for some activities that correspond with Eric Carle's The Very Hungry Caterpillar, well look no further we have a little bit of everything for you. We have rounded up some great classroom ideas for you! 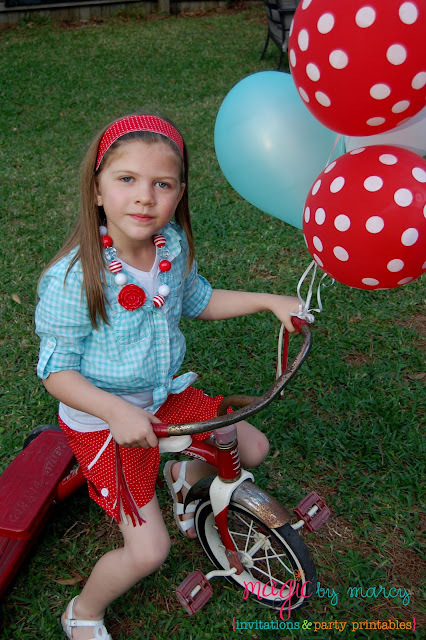 To see more please check out our Pinterest Board. 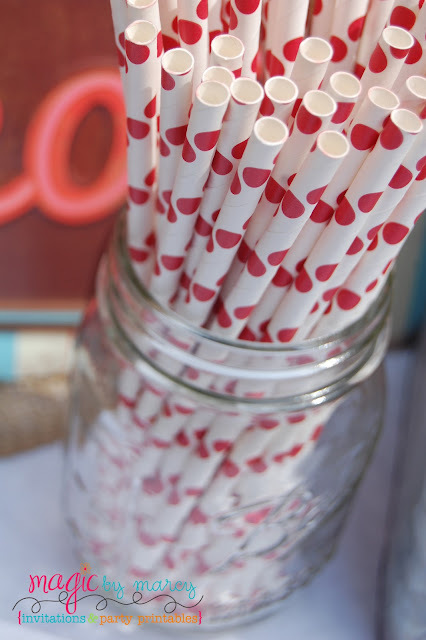 1. Who doesn't love recycled art? These egg carton caterpillars are adorable! This would make a good center station or Friday craft project. 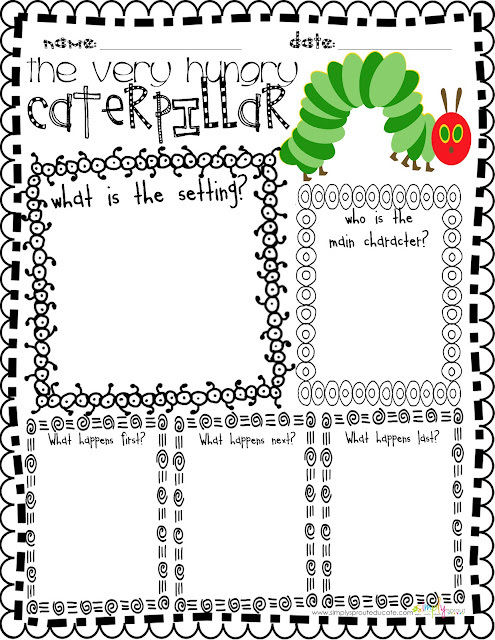 Pair with a writing activity on adjectives and have students write down 4 sentences that incorporate words that describe their caterpillar. 3. 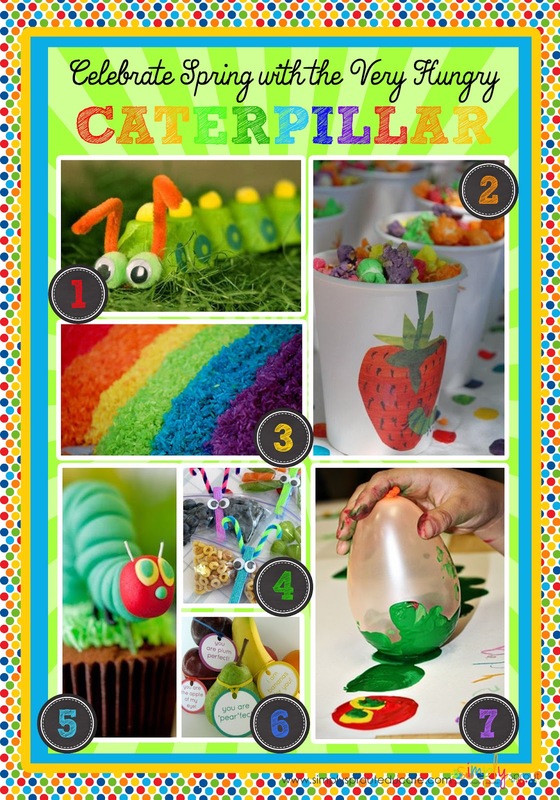 Create a Rainbow sensory station this is a great addition to any primary classroom, hide items from the book like a lollipop (plastic of course) a watermelon slice, a butterfly...send kids on a sensory scavenger hunt. Hide letters in the rice and provide students with the vocabulary cards from the Hungry Caterpillar Kit and try to find the letters to spell the words. 4. Butterfly snacks...a great way to offer a healthy treat in a creative way, just add your favorite healthy snack from the story ( apples, strawberries etc) into a ziploc bag, attach a clothespin and twist colorful pipe cleaners around the top for antennae. 6. Celebrate your teacher with a teacher appreciation gift. 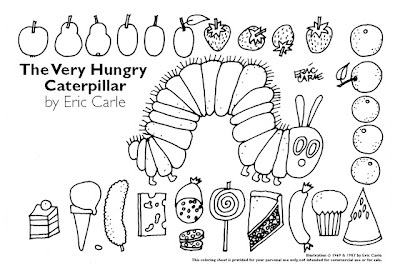 Pair the fruit with a copy of Eric Carle's The Very Hungry Caterpillar this will be a tasty treat she will be sure to treasure. 7.Balloon Print Caterpillars This would make a great art center, use a balloon dipped in green and red paint to create a Hungry Caterpillar. Add die cuts of the foods from the story to the top ( this will also help teach sequencing for your young ones)...be sure to have a hole punch out so your students can punch a hole in each food before applying it to their paper. 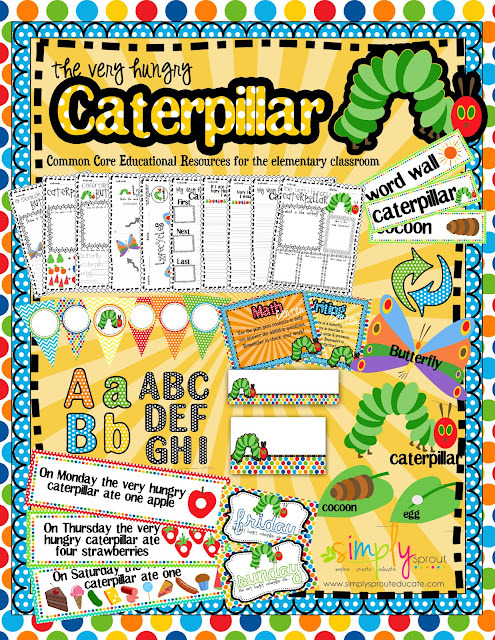 This kit contains colorful resources that bring the Very Hungry Caterpillar to life. Literacy, Writing, Math and Science activities that help teach about the life cycle of a butterfly, setting, character, and sequencing, days of the week, addition, basic writing skills and much much more! Set up centers in seconds and have your students work through activities on the life cycle. 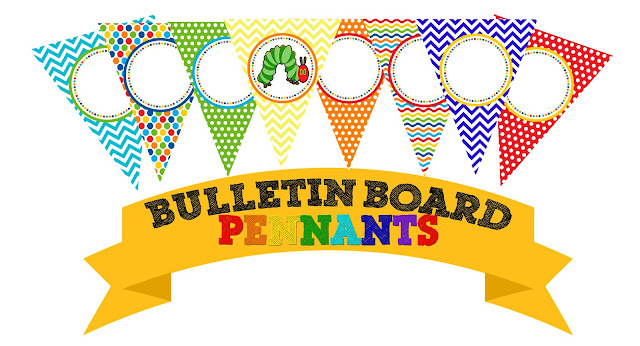 Use the bulletin board resources and pennant banners to create a custom display that will have everyone thinking spring! The pennants included in this kit are great for the classroom There are black and white polka dotted letters that are included, just cut out the letters you need and attach them to your pennants. 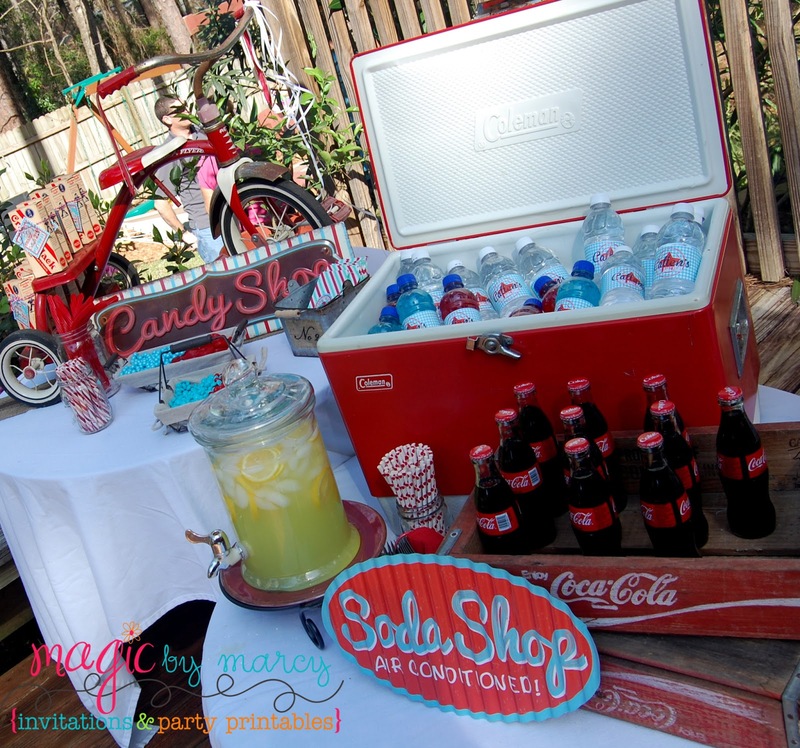 With so many colors you can really mix and match them to coincide with any theme. You can either attach the letters and laminate as one piece or keep the pennants and letters laminated separately so you can mix and match. These store great in a clear plastic page protector inside a binder. Once assembled just hole punch the corners and run some 1 inch grosgrain ribbon through and you are ready to cheer up your hallway, bulletin boards, wall or door. 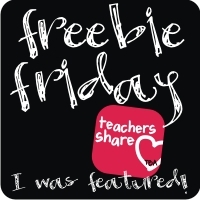 We hope you enjoy the FREEBIE below! This is one of my favorite coloring pages for the story! Anyone who knows Amanda knows her love for all things Pi related. 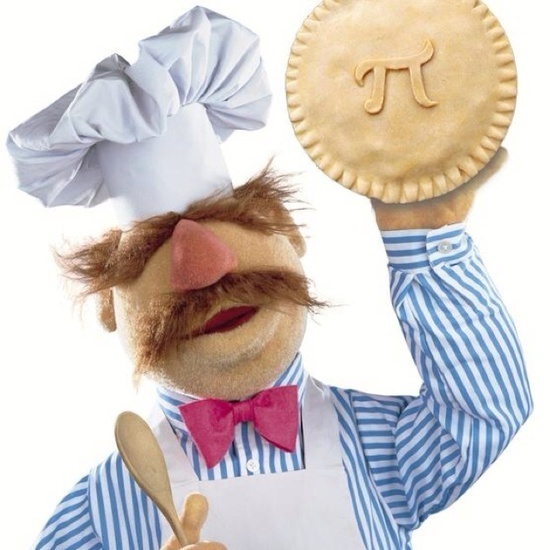 Each year she would treat her students to a fun filed day for Pi related math activities, celebrating the irrational number infinitely all day long. Well this March 14th she has a different little Pi to celebrate....a little cutie pie! 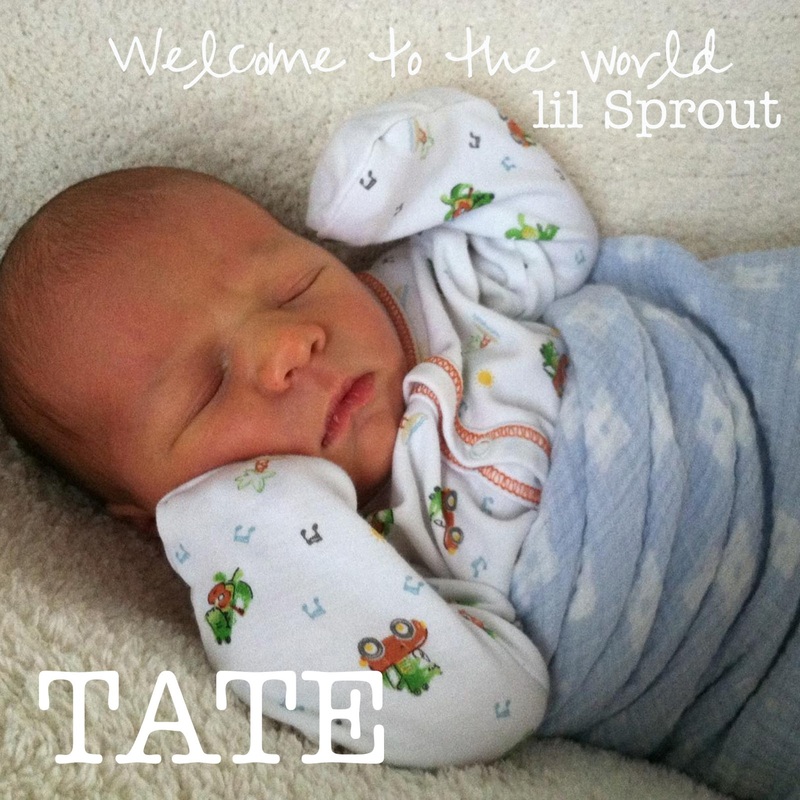 Last Thursday Amanda, Husband Jarrod and big brother Mack welcomed a handsome little baby boy in to their home, Tate George. Little Tate is one week old today and as much as Amanda loves all things Pi related something tells me she has a little more to celebrate this day, snuggling her little cutie pie! Happy Pi day to all! What types of activities do you like to do with your students today? Making Milestones and celebrating birthdays! March is a busy month around our household, there are a lot of milestone events. With 2 little ones 3 weeks a part I feel like I am in constant party mode starting in January, designing, planning and prepping for the perfect party for each of them. This year we throw Easter into the mix...so we will be getting some mileage out of our party ware for sure! 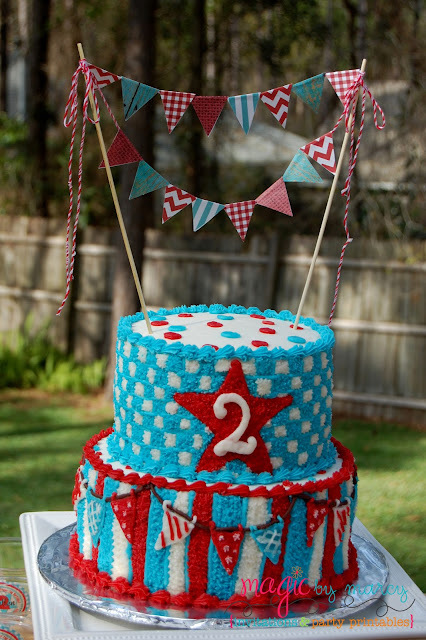 I wanted to take a minute to share with you our celebration for Callen, he turned 2 last Friday! 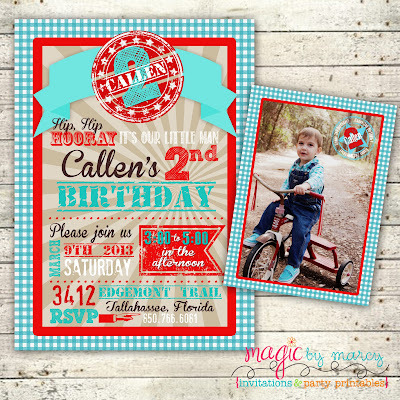 The theme for his birthday was Retro Red & Aqua, he had just learned to ride his tricycle so we thought that this would be the perfect theme to incorporate his new skill. It was a beautiful March day, we threw the party at home in our backyard. All of our friends and family were there to help us celebrate. The little ones loved playing on the playground. With the young ones I prefer to keep parties simple, invite some friends let them play.A little cake and some presents, it's a recipe for a great time! An old dining room table was the perfect backdrop for our food table, we served homemade ice cream in a vintage ice cream maker from my childhood. 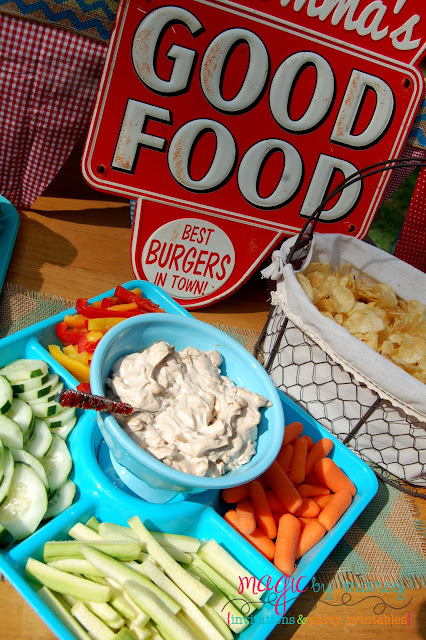 We had sliders, chips and veggies with dip, nothing fancy just a little bit of momma's good food! Little man loves caramel corn, so we found just the right stuff at our local Cracker Barrel. Vintage Cracker Jacks made the perfect parting gift. We used a vintage Radio Flyer Tricycle (borrowed from a friend) to be the backdrop for our favor table. We set up a candy shop...which little man hovered around the entire evening...I think he likes candy! 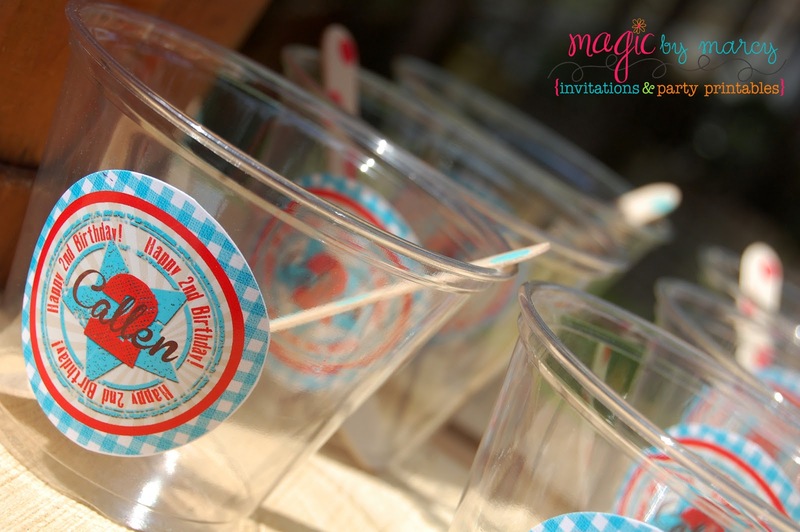 Custom printable stickers dressed up the plastic cups for the homemade ice cream. Adorable hand stamped wooden spoons added an extra special vintage touch. The Cake took my breath away when I picked it up. a local lady here in Tallahassee named Marilyn G. She has a passion for creating beautiful cakes. I simply gave her my invite design and she matched it perfectly. It was a beautifully tasty centerpiece for our little man's celebration. The topper was made using bakers twine and scrapbook paper, cut into small pennants. Wooden skewers held it in place. 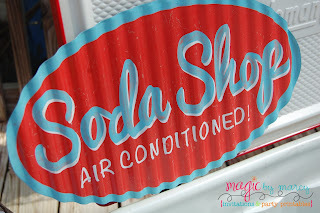 I just LOVE mom run local businesses! We had a great time Celebrating our little Man's big day! 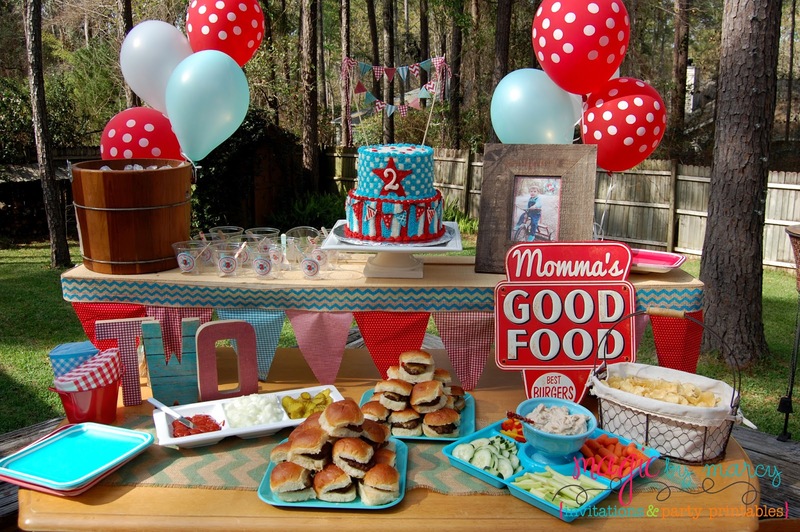 Amidst all of the fun and partying birthdays serve as a critical reminder for you to assess where your child is developmentally. Take a few minutes to make sure your little one is making their developmental milestones. 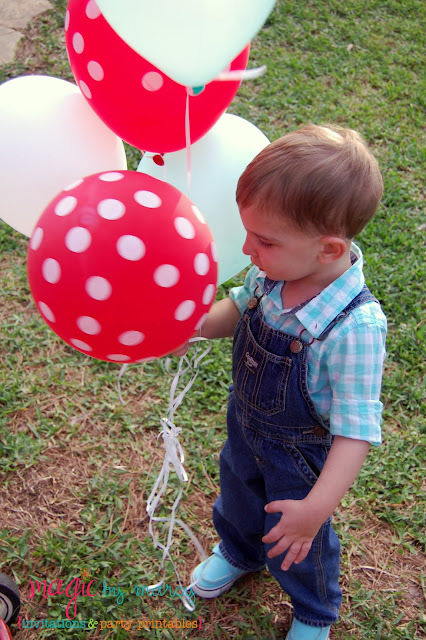 These are common skills, behaviors and activities that you child should be mastering when they turn 2. This is a great checklist provided by the CDC it provides a comprehensive list for each age and stage of development. 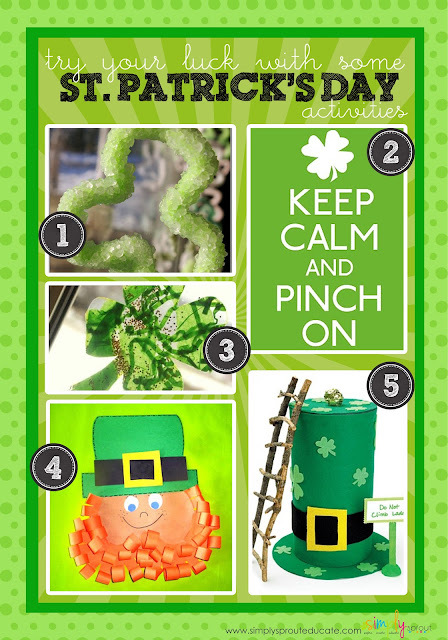 St. Patrick's Day is this coming weekend, we sure hope you will take a few of our ideas and implement them into your activities this week. 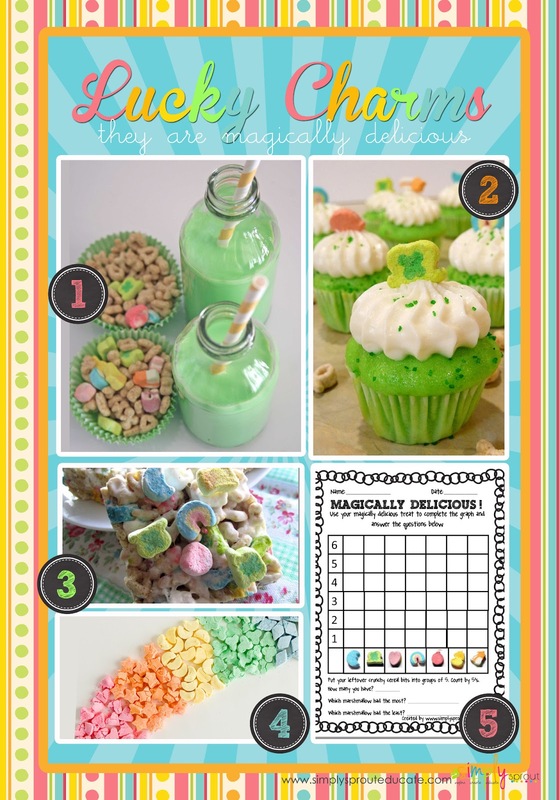 Today we are focusing on a St. Patty's Day fave... Lucky Charms....We have a Magically Delicious Math activity for you and some other great ideas to keep your students engaged and excited. 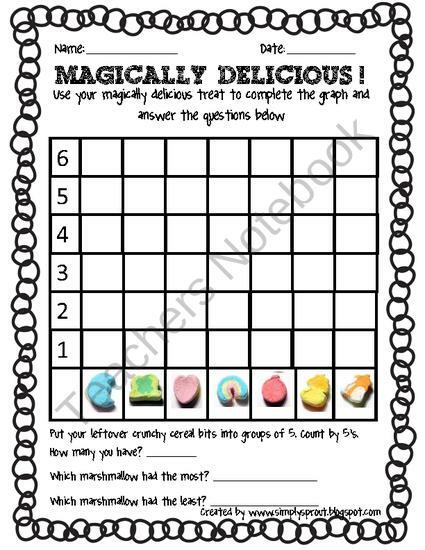 This makes a great class snack.....but before you eat use the worksheet featured below for a quick math activity. 3. Yummy Lucky Charm treats! For your younger friends have them glue their marshmallows onto a rainbow to show color recognition. We just love the idea of having students create their own leprechaun. Once completed incorporate a writing activity on using adjectives to create descriptive sentences. See how creative your students can get. Have them introduce their leprechaun's to the class to get them comfortable with their public speaking skills. Just right click and save the image below, insert image into a word document and drag corners to resize as needed. 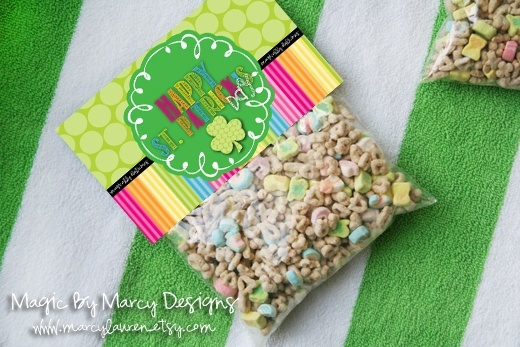 Just put some lucky charms in a ziploc bag and staple on the bag topper, instant treats for your class. 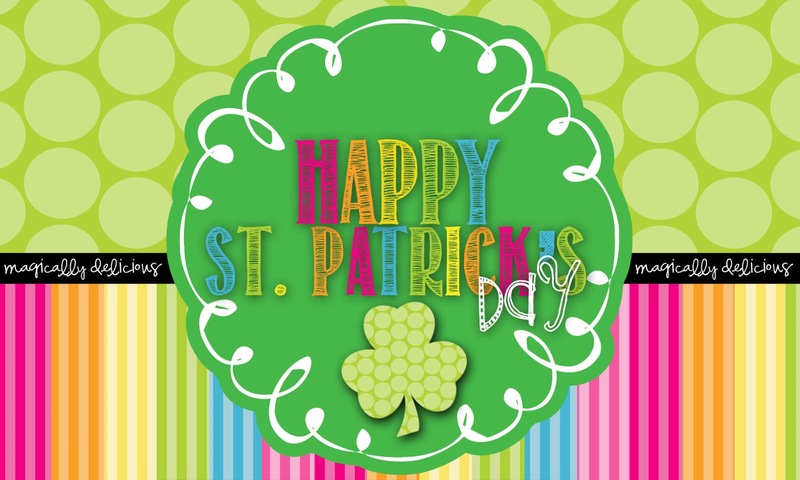 We hope you have a Very Happy St. Patrick's Day Celebration with your students this week! Nothing brings more cheerfulness to those drab classroom walls that a little color. Rainbows are the perfect decoration to welcome St. Patrick's Day and then transition into Spring. Here are a few ideas to welcome Spring! 2. Watercolor Rainbows, break out those watercolors and get to painting, your kids will love this chance to create! 3. 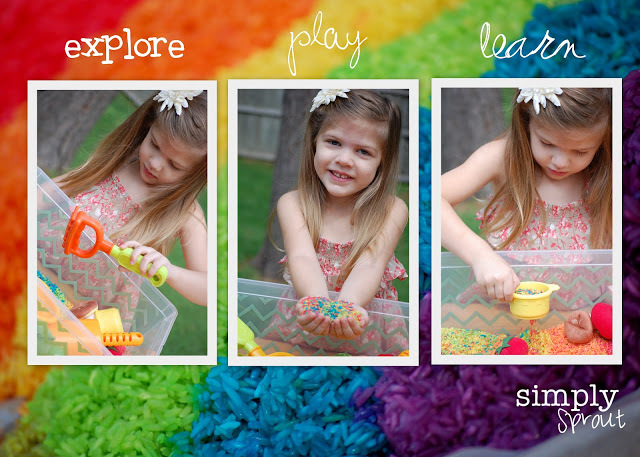 Create a Rainbow sensory station this is a great addition to any primary classroom, hide different letters and objects, send kids on a color scavenger hunt. 7. 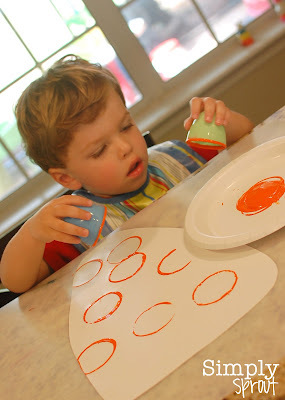 Cute and creative Rainbows make a great art activity, pair this with a lesson on using juicy color words (Melissa Forney) teach students to retire the traditional colors like red and orange and create some juicy color words like Radiant red and flaming hot orange! 8. 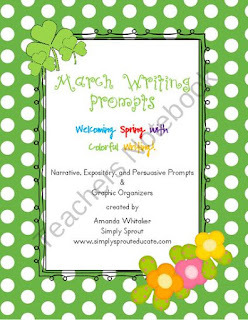 Get your bulletin boards ready for spring with this colorful rainbow. Just use colorful streamers to recreate this look. 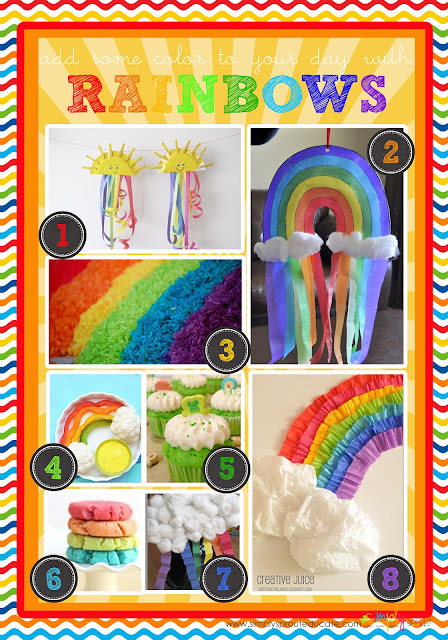 Create a Rainbow sensory station this is a great addition to any primary classroom, hide different letters and objects, send kids on a color scavenger hunt. Check out how to recreate this in your classroom here! 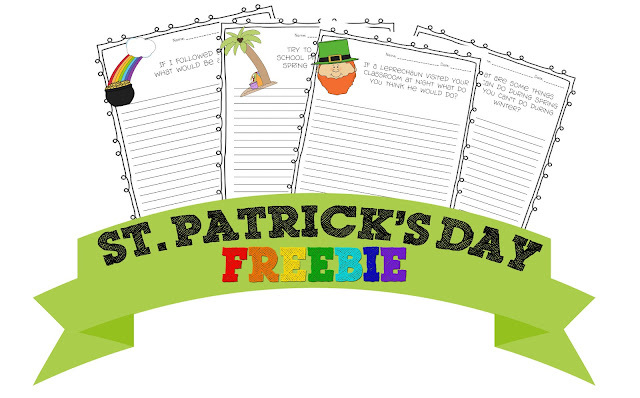 Looking for a little luck of the Irish in your classroom,we have rounded up a few cute ideas that are easy to implement in any classroom and will bring lot's of festive cheer! 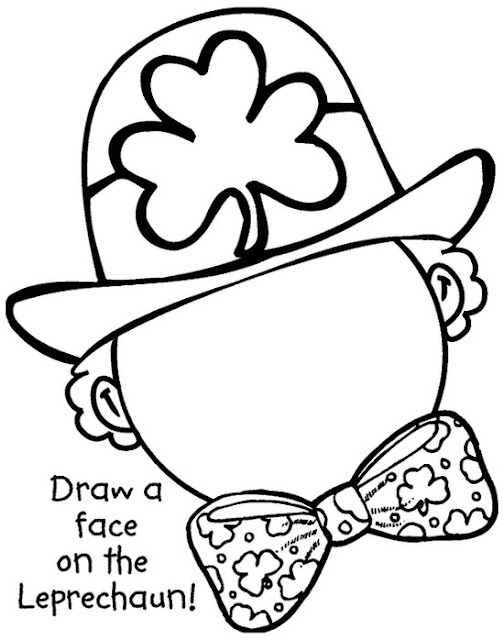 Create a leprechaun, have students write adjectives that would describe their leprechaun. Write creative stories introducing their leprechaun to the class. Have students design a leprechaun trap, collect recycled items and craft supplies for them to create their trap.